Until now, video calling from your computer has required dedicated apps such as Skype or browser plugins like Flash that power the likes of Vox.io. However, the similarly-named Voxeo Labs has been cooking up something impressive; plugin-free video and voice calls in a browser. 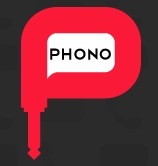 The Phono SDK also allows for real-time presence and chat capabilities, meaning that developers should be able to create Google Talk or Skype-like services with ease. The technology even supports standard phones, so you could call a friend’s browser from your landline, for example. At the moment, WebRTC is only supported by the developer-focused Canary build of Chrome, but if it gets adopted as a Web standard down the line, we could see services like this become commonplace. You could argue that Flash, pre-installed with Chrome and widely used by consumers in all major browsers, is pretty much a standard anyway, but just as Flash is gradually being nudged out of Web design by HTML5, if its functionality can be replaced by a Web standard for video calling, the writing will probably be on the wall for Adobe’s technology there too. While the technology isn’t quite ready for you to try yet, you can find out more by watching the two videos below, in which Voxeo Labs’ Chris Matthieu and Tim Panton explain more about the technology.